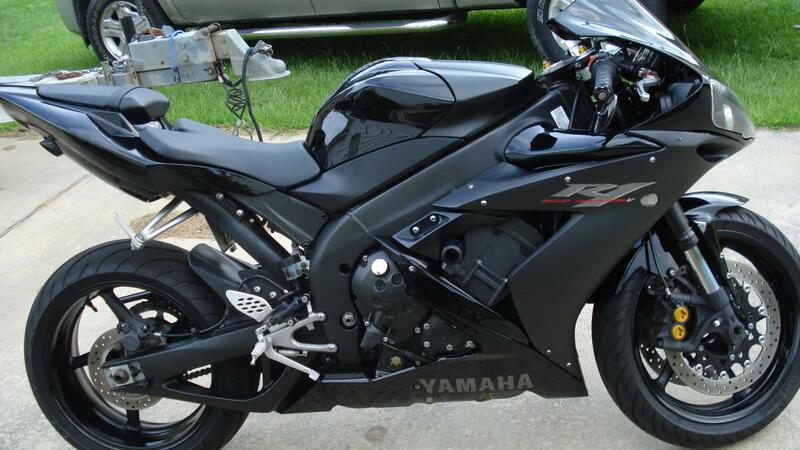 I am selling my 2004 Black Yamaha R1. It looks just like the RAVEN edition that came out in 2005. I have a clear title in hand. There is 12,656 miles on it at this time. The bike is in excellent shape and it runs perfect as well. It has never been crashed, raced in any way or been on the track ever. The Engine has never been modified in any way. All the service has been completed according to the manual. New Michelin Pilot Road 2 tires were installed about 400 miles ago. 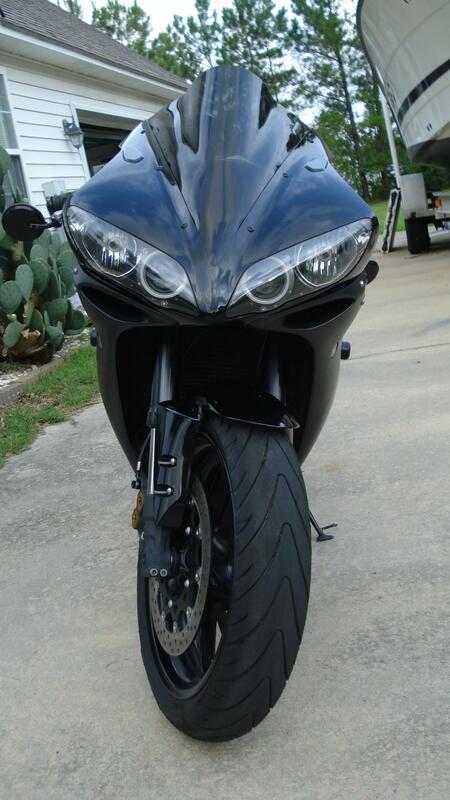 I bought this bike from the original owner in August of 2008. It has never been crashed but it was lightly dropped during low speed operation in the driveway when he owned it. 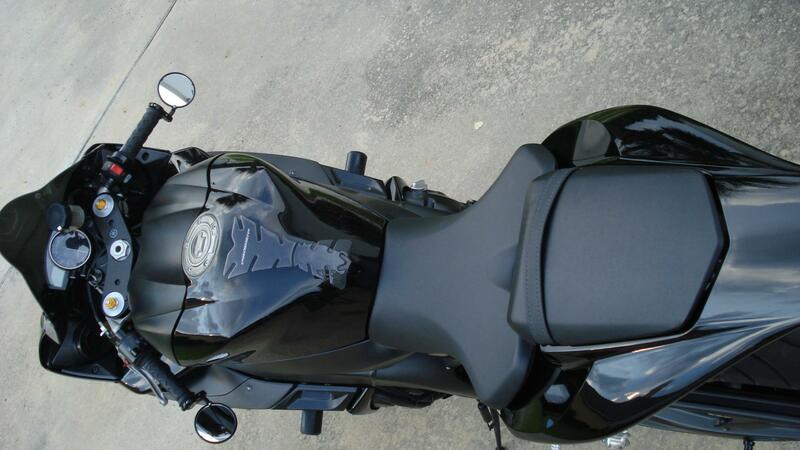 The only damage that was done was on the left lower and mid fairings. I never did replace them because when the bike is on the stand or when you are riding it, the damage is hard to notice. There are a couple scratches on the left top rear on the corner next to the rear seat from his boot hitting it when he got on and off the bike. He was a short guy so getting on and off without his foot hitting was a problem i guess. I talked with the guy I bought the bike from today. The bike was Red when he bought it new. He later bought the RAVEN parts and put them on the bike and sold the red fairings and other parts. His reason for doing it was because he loves black vehicles. He also had a black Mustang and a black Ford F250 that was lifted. So he wanted his bike to be black as well. 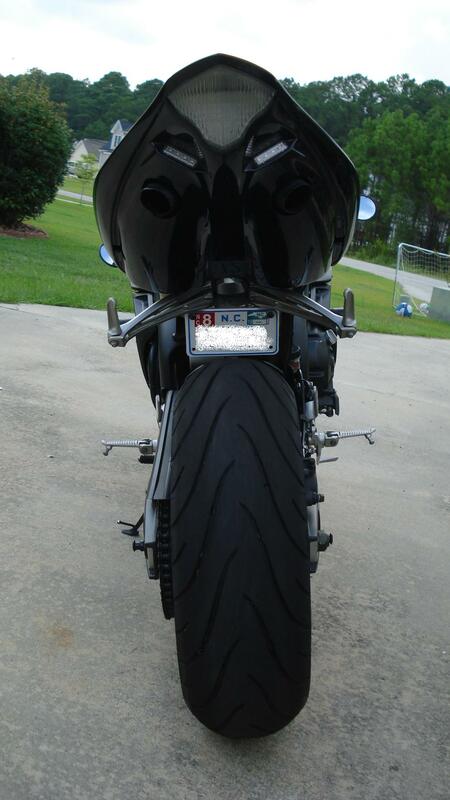 I have nothing to hide on this bike. If anyone wants more pictures or information I will help out in any way I can. 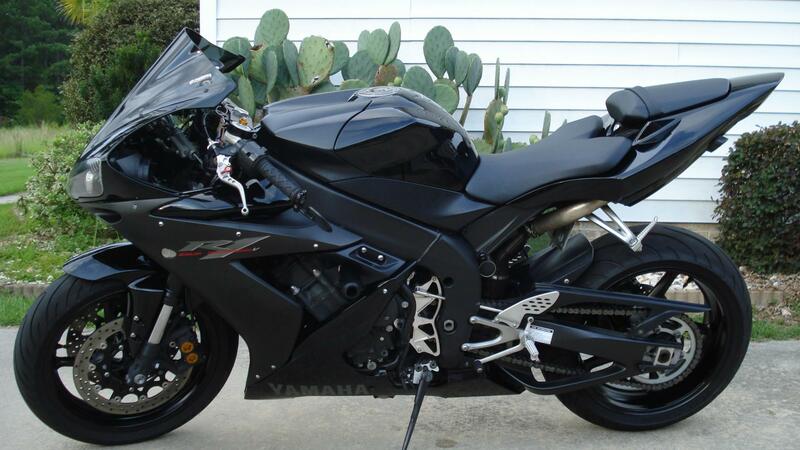 I guarantee you will be satisfied with this bike. I can be emailed at [email protected] or called at 252-725-2890.